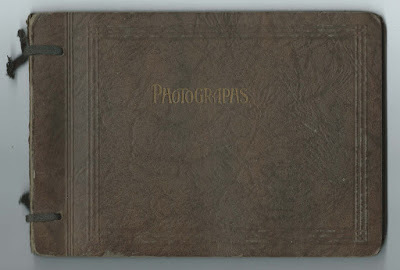 c1924 era photograph album, approximately 8" by 5-3/4", with 30 snapshots of people, automobiles, seashore and family groups. See the entire album at the end of this post. Sadly, no people are identified, but the owners most likely lived or had relatives at Ossining, New York, and Port Chester, New York. They may also have had family at South Truro, Massachusetts, and Bristol, Rhode Island, or may have been vacationing there when the photographs were taken. Ossining, New York, 1924 - 4 couples of middle and older age. 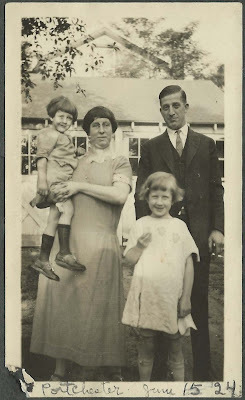 Port Chester, New York, June 15, 1924 - parents and two children, shown below. 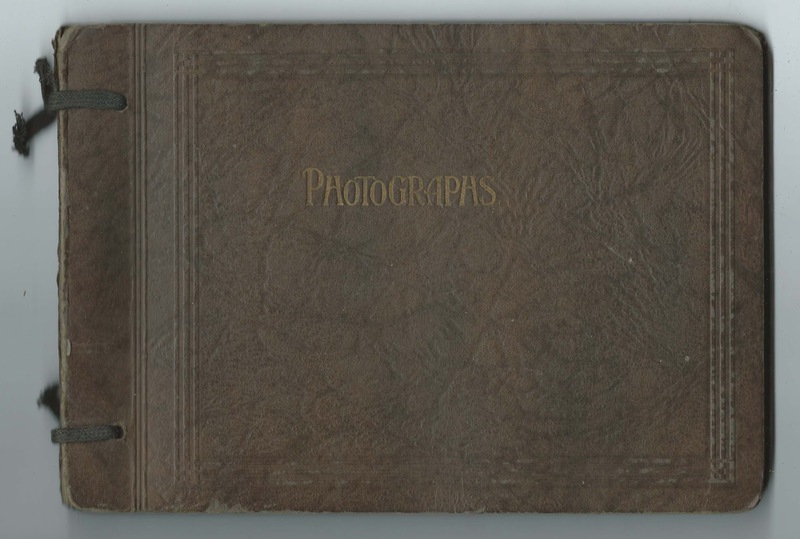 Because the parents appear in many of the photographs, it's possible that this album belonged to them. If you recognize any of these people from your family research, please leave a comment or contact me directly.